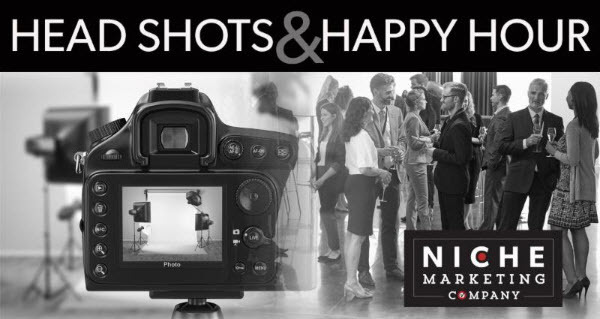 Join Niche Marketing Company after work for a happy hour, networking, and have a complimentary headshot taken, to boot! (How old is your headshot?) Bring your business cards and a guest and get ready to meet new business contacts you may not know in Harford County! You’ll be networking, having 2 complimentary headshots taken that you can use for your website, email, and social media – PLUS you could win ourHeadshots & Happy Hour Raffle! We’ll be serving light fare and drinks. Headshots taken by Jen Snyder Photography. Light fare featuring Tropical Smoothie Cafe Bel Air.